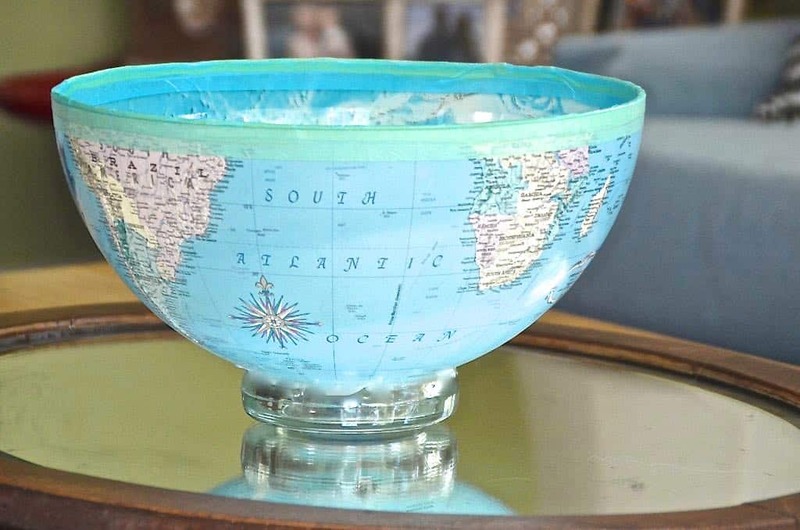 I’ve got a thing for globes. 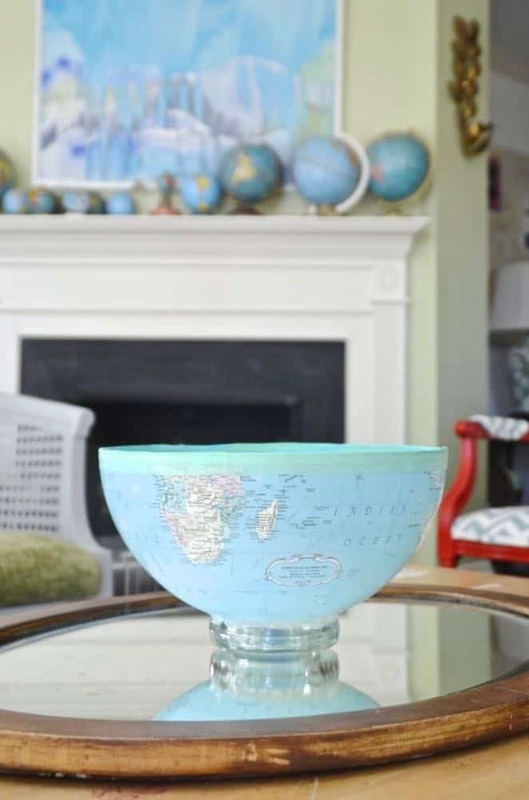 Not for geography persay, but for lovely old out-of-date globes. 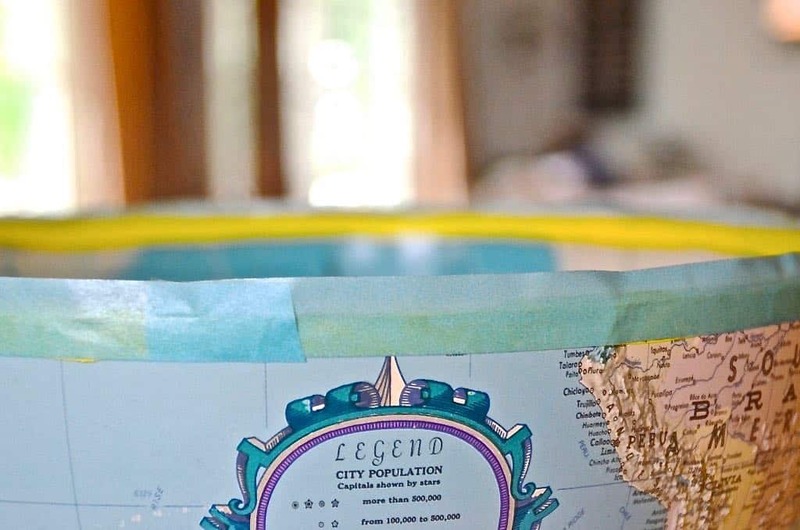 I had some larger globes in the garage and I decided to tackle one of my repurposing ideas this weekend. 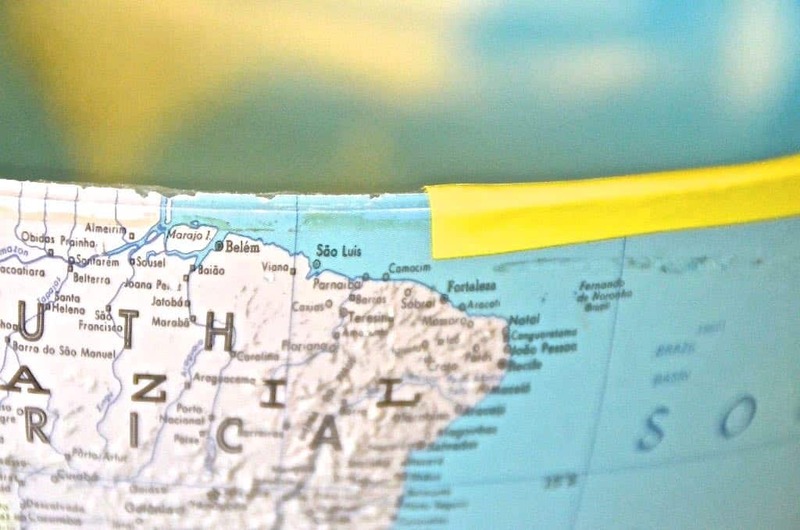 I drilled a hole in the side of the globe to allow an entry point for… the beloved jigsaw. Cutting through heavy plastic ain’t pretty and won’t give a smooth edge (at least I didn’t get one), but I was able to cut around the circumference of the globe to cut it in half. 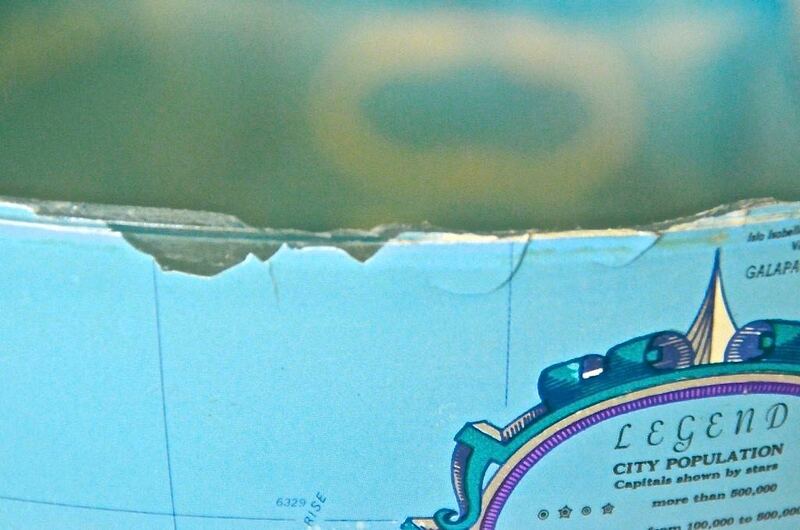 Then I used a pair of pliers to pull apart the edge along the equator where the two halves of the globe were adhered. 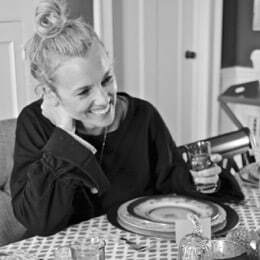 What I was left with wasn’t perfect, but it wasn’t nearly as rough as it had been after I took the jigsaw to it. To smooth out this edge and finish the piece a bit, I started with electric tape. It’s stretchy so wraps along the edge like a breeze; it’s also durable enough not to tear or rip when in contact with the occasional rough plastic edge. Not sure why I used yellow…. you can buy electric tape in less-bright colors. Doy. To cover the electric tape and add some decoration, I reached for washi tape to finish off the edge. Last step was to attach the southern hemisphere to a base so it wouldn’t roll all around. After looking around Goodwill for an option (candle pedestals, small vases, bowls…) I finally found this old ash tray that worked PERFECT- wait for it- LY. 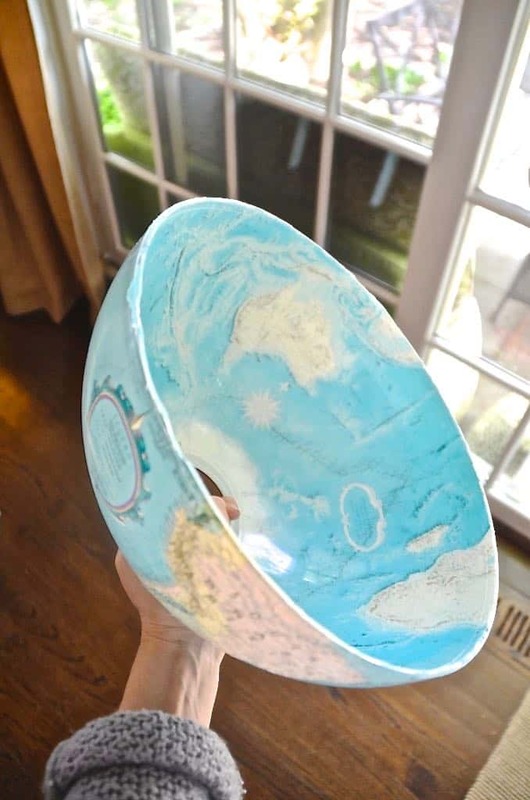 The ashtray was heavy enough to support the piece, it was the right dimension for the size of the globe and it was thick enough that adhering it to the semicircle was a cinch. 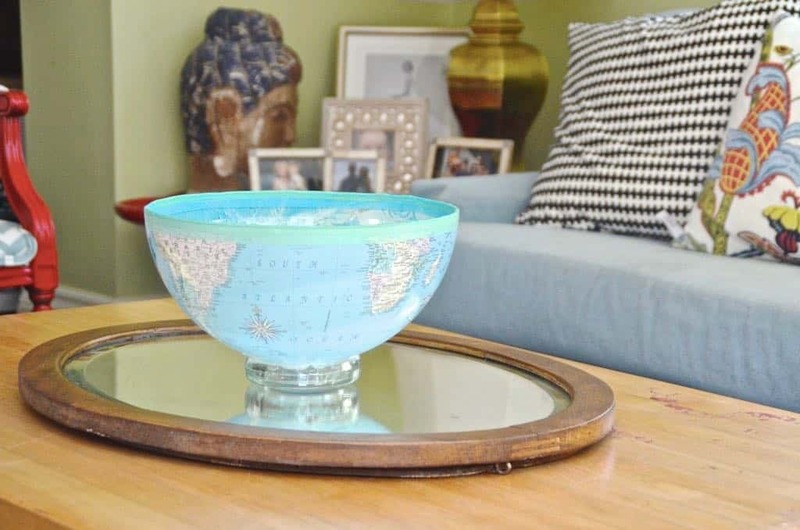 I used some leftover epoxy I had kicking around to secure the globe to the new ashtray base. To smooth out the seams, I went around with some clear caulk after the epoxy had dried. Obviously I won’t use this to serve food or anything, but I love-a-dub-dub how it turned out. It all came together and feels well proportioned and cool and interesting. And oh-so-worldly. 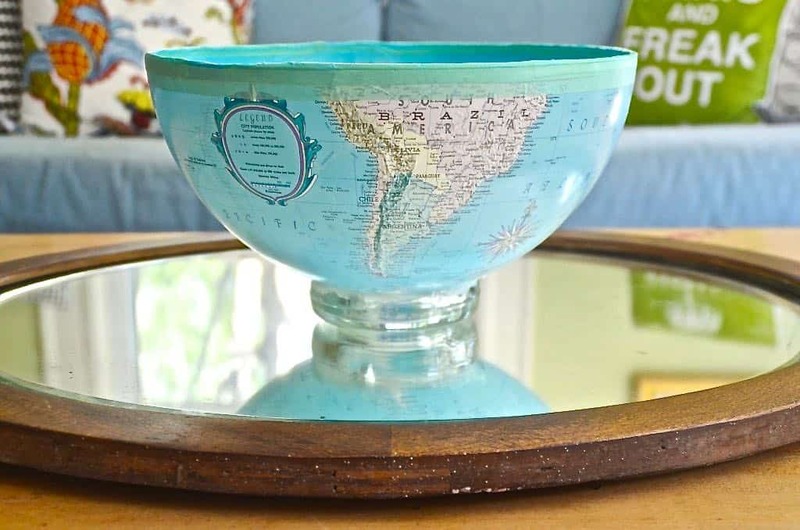 Nice re-purposing of not only the globe, but an ashtray! Furiously Google-ing the original Plaza hotel…. I know! SO cool right. 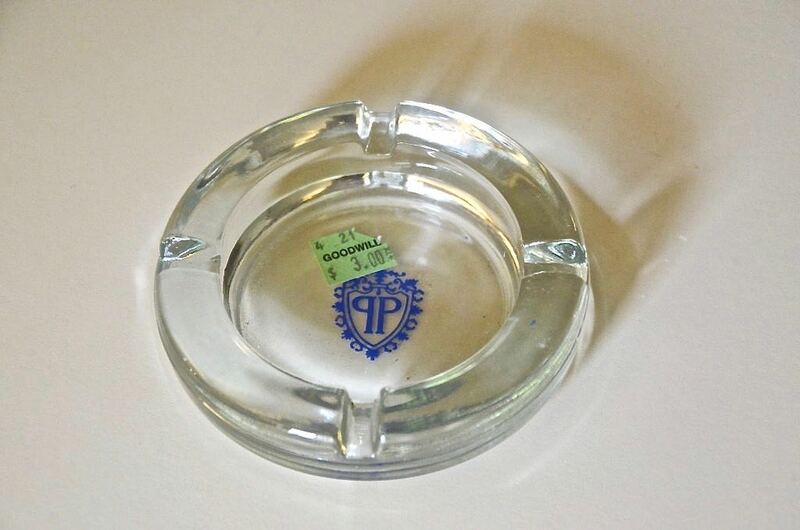 Can you imagine ash trays in any sort of public space nowadays?! A different time – when mothers smoked during pregnancy and flights! I thought nothing could top the red/chevron chairs but you have done it! Love this! BTW — passed Ciburanity onto a DIY neighbor this weekend….! This so fabulous! 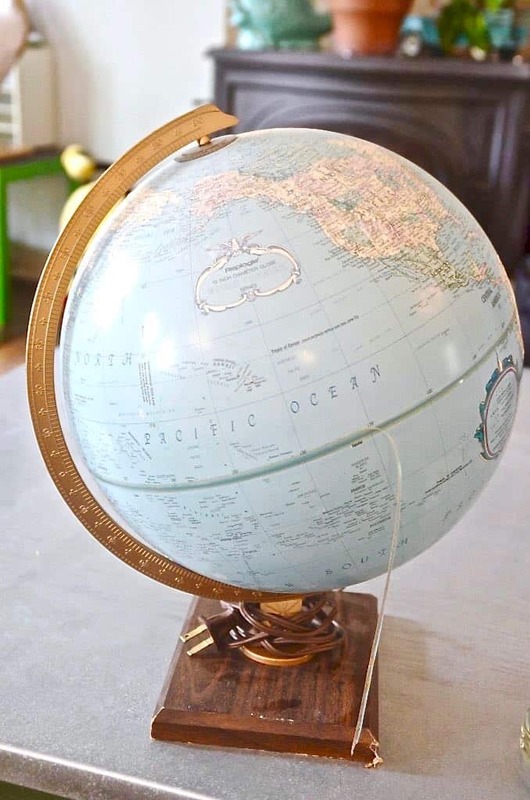 I’ll be on the lookout for old globes now!